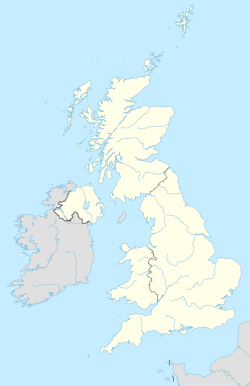 The W (Western and Paddington) postcode area, also known as the London W postcode area is a group of postcode districts covering part of central and part of west London, England. The area originates from the Western (W1) and Paddington (W2-14) districts of the London postal district. "W1A" redirects here. For BBC television series, see W1A (TV series). "W1G" redirects here. For Unicode subset, see World glyph set. The Western district consists of the single original W1 postal district. The area that it covers is high-density and so has been subdivided into a number of smaller postcode districts. When districts are used for purposes other than the sorting of mail, such as use as a geographic reference and on street signs, the W1 subdivisions continue to be classed as one 'district'. In June 2000, there was a recoding of the area, with the W1M, W1N, W1P, W1R, W1V, W1X and W1Y districts being replaced. The mail centre for W1 is London Central, and that for W2-14 is Greenford. Deliveries for W1 (and for WC1 and WC2) came from the Western District Office on Rathbone Place until it was decommissioned. It was a stop on the former London Post Office Railway, which has been mothballed since 2003. The Western District Office was initially on Wimpole Street, which was also a stop on the London Post Office Railway. The Paddington district has 13 postcode districts (W2–14). Other than W2, the districts are arranged alphabetically, run from W3 (Acton) to W14 (West Kensington) and radiate westwards. The Paddington Head District Sorting Office was the western terminus of the London Post Office Railway, which ran 6.5 miles (10.5 km) to the Eastern District Office, at Whitechapel. Postcode districts W1 and W2 are central to London, and W3 to W14 radiate outwards to the west. The boundaries of the area and its numbered districts have changed over time and are the result of the working requirements of the Royal Mail. They are not tied to those of the local authority areas served answer so a locality name might describe varying areas. W1 is almost entirely in the City of Westminster, with a small part in the London Borough of Camden. W2 to W14 cover the northwestern part of the City of Westminster, the northern parts of the Royal Borough of Kensington and Chelsea and the London Borough of Hammersmith and Fulham and the eastern parts of the London Boroughs of Ealing and Hounslow as well as very small parts of the London Boroughs of Brent and Camden. The TV series W1A satirises the goings-on at the BBC's New Broadcasting House in Portland Place, whose memorable postcode is W1A 1AA. W postcode area map, showing postcode districts in red and post towns in grey text, with links to nearby HA, NW, SW, TW, UB and WC postcode areas. ^ a b c Monopolies and Mergers Commission (1980). The Inner London Letter Post. HMSO. Archived from the original on 19 January 2012. ^ a b c "Names of Streets and Places in the London Postal area". HMSO. 1930. ^ Royal Mail (18 April 2007). "Royal Mail major recode historical information – 2000 to March 2007" (PDF). Royal Mail Group. Retrieved 1 April 2010. ^ "Non Geographic Codes" (PDF). Royal Mail Address Management Unit. July 2012. Archived from the original (PDF) on 16 September 2012. Retrieved 25 September 2012. "W1". The Postcodes Project. Museum of London. Archived from the original on 3 November 2012. "W2". The Postcodes Project. Museum of London. Archived from the original on 23 September 2012. "W3". The Postcodes Project. Museum of London. Archived from the original on 23 September 2012. "W4". The Postcodes Project. Museum of London. Archived from the original on 23 September 2012. "W5". The Postcodes Project. Museum of London. Archived from the original on 23 September 2012. "W6". The Postcodes Project. Museum of London. Archived from the original on 23 September 2012. "W7". The Postcodes Project. Museum of London. Archived from the original on 23 September 2012. "W8". The Postcodes Project. Museum of London. Archived from the original on 23 September 2012. "W9". The Postcodes Project. Museum of London. Archived from the original on 16 December 2012. "W10". The Postcodes Project. Museum of London. Archived from the original on 24 September 2012. "W11". The Postcodes Project. Museum of London. Archived from the original on 24 September 2012. "W12". The Postcodes Project. Museum of London. Archived from the original on 24 September 2012. "W13". The Postcodes Project. Museum of London. Archived from the original on 17 November 2012. "W14". The Postcodes Project. Museum of London. Archived from the original on 24 September 2012.